So the other day I got a code P 0021, Camshaft position sensor Bank 2 over advanced... what does that usually mean? I know these 4.4's are a tad noisey. Am I getting detonation? I'm also using puke 87 since gas has shot up to like 3.40/gallon for 93. Should I go back to 93? 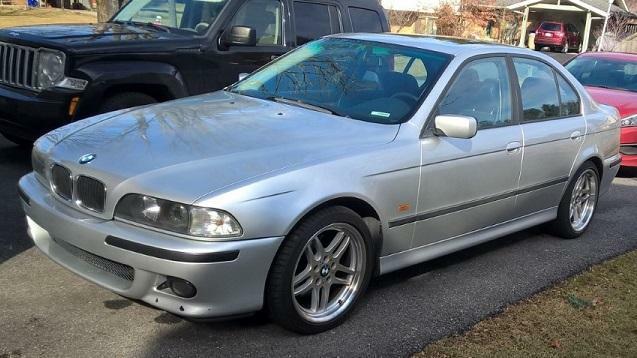 99 540i Sport 6 speed 207,000 miles. FWIW all the chains/guides...usual stuff were done at about 190k. Car runs and drives fine. I did just change the oil, but that shouldn't matter. Most likely a vanos actuator that was a little slow to react. Do you have the freeze frame data? Did you change oil type or brand? Ditto the oil weight Q... Run some motor honey or similar through it at next change, use a recommended weight synthetic, might clear things up. I thought these things didn'y like "motor honey" too much? Or do you mean a "cleaner"
Cleaner, not additive... Sorry. I know BMW loves to say "no additives" but I personally feels that's baloney. The Gunk Synthetic oil system cleaner is awesome stuff, I've also had great results in my bimmers with LiquiMoly brand. Ok my buddy is a Petra distributor I'll see what he has. Not sure what the previous owner was running. He did mention a 40 weight, which I thought was a tad high.